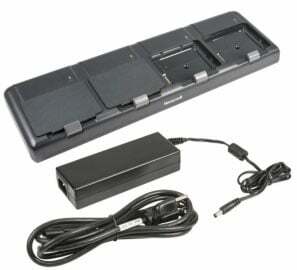 Honeywell - QUAD BATTERY CHARGER, FOR RECHARGING UPTO 4 BATTERIES. KIT INCLUDES DOCK, POWER SUPPLY, POWER CORD. The Honeywell CT50-QBC-1 is also known as HSM-CT50QBC1	or CT50QBC1	.